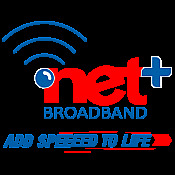 Our vision is "To be the most preferred and admired brand in broadband services, by enhancing customer's experience through innovative, most reliable and value for money services in line of "Add Speed To Life." netplus hasn’t written any reviews yet. netplus hasn’t received any votes. netplus hasn’t received any thanks yous. netplus doesn’t have any fans yet. netplus isn’t following anybody yet.